So this was a tough post to write!!! 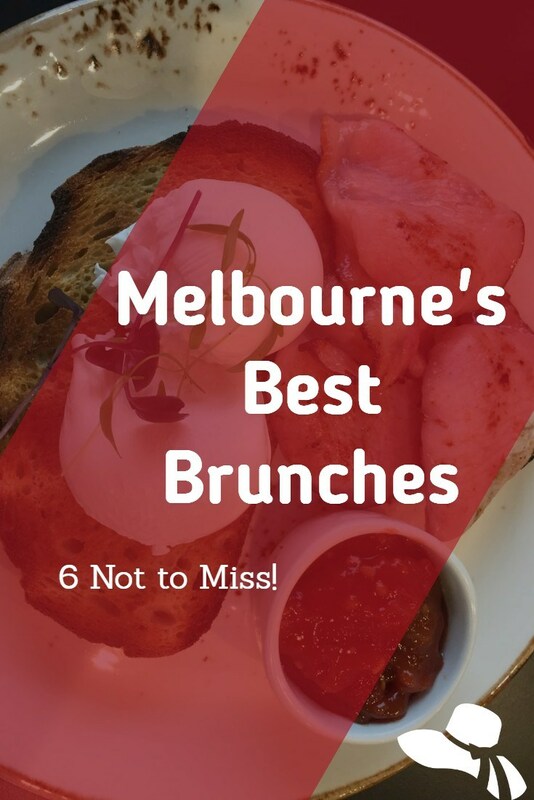 There are so many good brunch places in Melbourne – to reduce this to the best brunch places melbourne with only 6 options – well this could have nearly been 60 best brunches in Melbourne but you’ve got to stop somewhere! There are of course other places you can go and have a great brunch but these are my nominations for Best brunch places Melbourne. I grew up in Melbourne and go back often so I have a fairly large sample size! Have breakfast or brunch at Fitzrovia. Or really anything here – they are open for dinner some evenings midweek. The food here is FANTASTIC! This is definitely my best brunch in St Kilda! I have tried most of the breakfast/brunch menu and there are no bad choices. However, the classic bacon and eggs are my absolute favourite – with their tomato relish. The quality of their ingredients is out of this world. The staff are fantastically friendly. The place itself has a lovely atmosphere. They also do outstandingly good muffins and more amazing sweet things. And then there is the coffee. Even decaf is brilliant here. I have been to Fitzrovia at least 10 times and it has never disappointed! 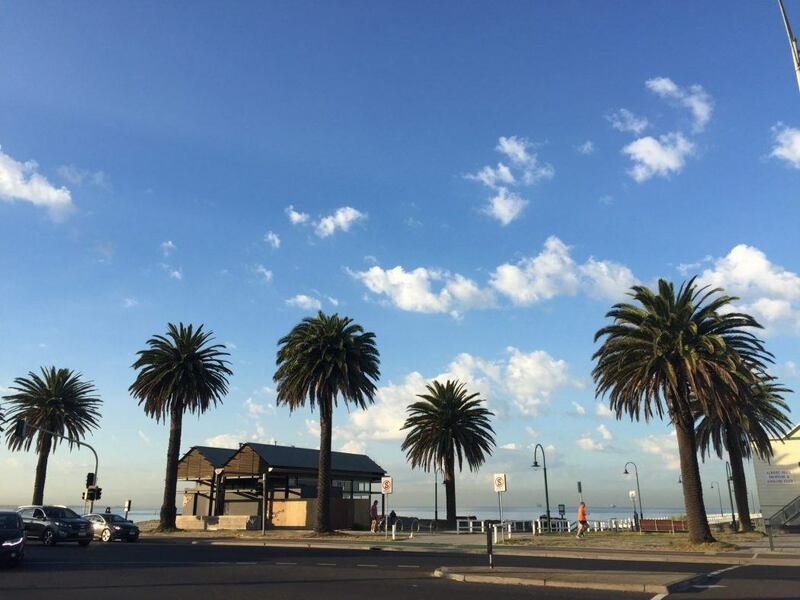 Read my guide to St Kilda and other Melbourne Hidden Gem neighbourhoods here. I used to go to this place way back when I lived in Port Melbourne and order green eggs and ham. Which was pesto added into the scrambled eggs. This was full on edgy back in the very early 2000s and was delicious. As my local, this place traded under a different name but was always tasty. I am sure it has changed owners at least once in the last 13 years but it remains a great location on beach street in Port Melbourne with lovely big views onto the bay. 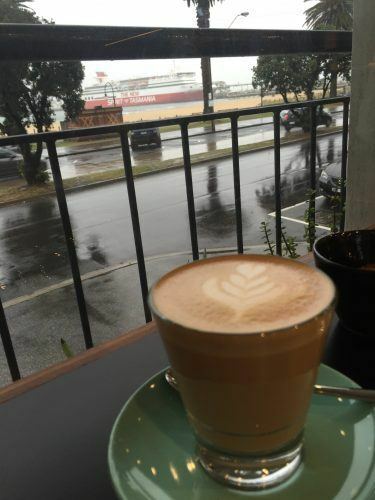 The café has great big windows so you can enjoy the view Melbourne weather permitting. Brunch here starts with great coffee. I was a little weary the morning I visited so needed a banana smoothie which was also very good. Breakfast was poached eggs on toast with a slice of fantastic smoked bacon. I also got the tomato relish because I remembered they used to have an amazing tomato relish. It was good but not as good as I remember… The brunch menu is a good long one. This is definitely one for the port Melbourne list! 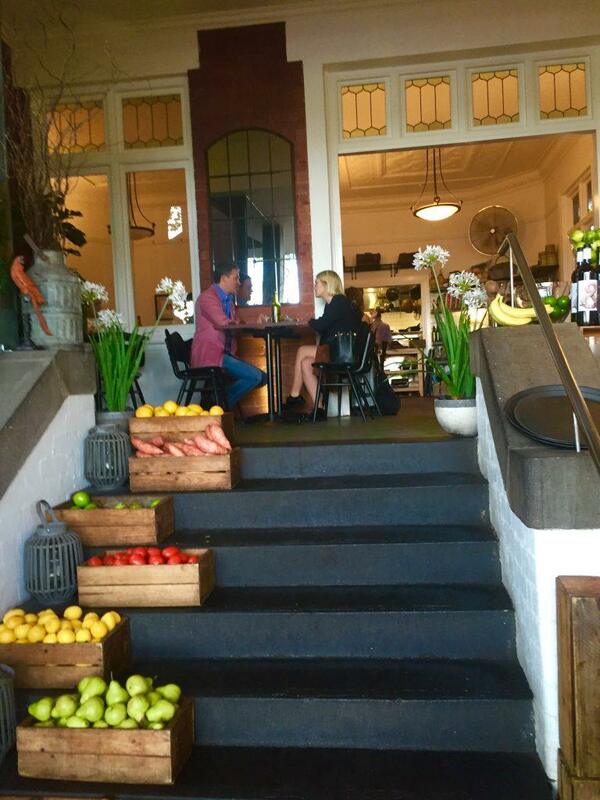 So over the West Gate bridge now to super cute villagey Yarraville. 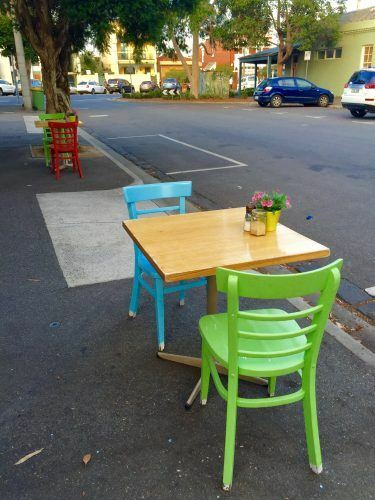 Yarraville is quirky and edgy and filled with some great places to eat. One of my closest friends lives in this part of town and her favourite brunch spot is Cornershop – so of course, it is now mine too! So it is literally on a corner and sits opposite the fantastic Sun cinema on a pedestrianised strip. There is seating out the back, out the front and inside. The staff are super friendly and of course, the coffee is excellent. I enjoyed the baked beans with battered eggs (like a scotch egg) and my friend enjoyed the classic smashed avocado on toast. 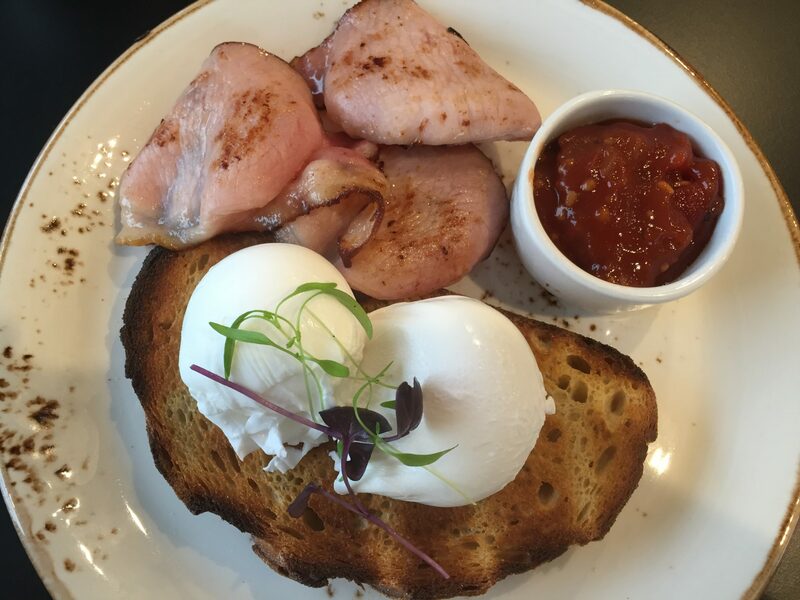 Back to Port Melbourne where there is another fantastic brunch spot tucked away off Bay Street on Bridge Road. It is very cute – quite tiny inside but cosy – it was quite fun nearly sitting in the kitchen! And there is outdoor seating. And the coffee is AMAZING! I am very picky about my coffee and I can genuinely say this is one of the best coffees I have had. I then went on to have the dukkah eggs which were a sensation. And the staff were so genuinely lovely and friendly! I went back here a couple more times as it was so good and it never disappointed. This place is so cute and coming in feels like you’ve gone to Europe. There are sort of 3 rooms but it feels small and bustling. The counter looked amazing – fab looking salads. 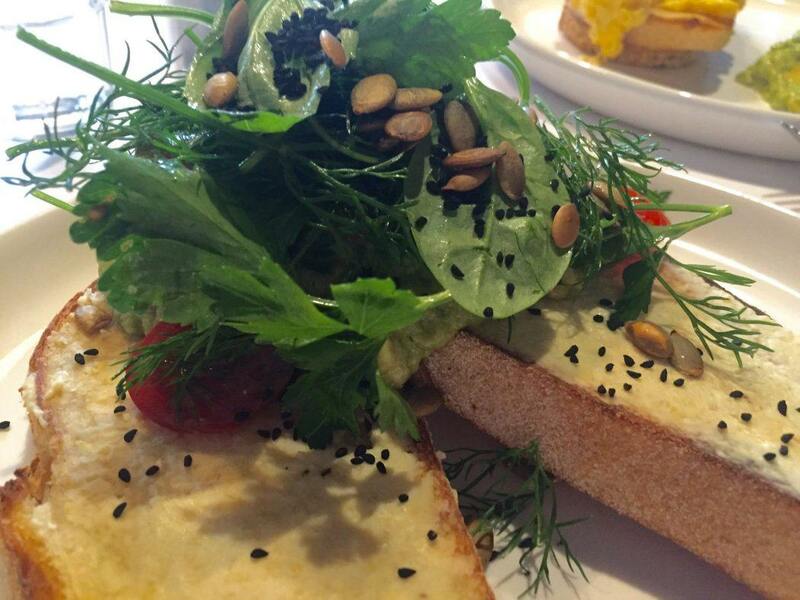 I went for breakfast and had pumpkin toast with avocado and greens – delicious! My friend had the scrambled eggs and avocado. And do I even need to say great coffee? I think it is nearly a given. I love this place! It is very cool and minimalist looking without any of the attitude. 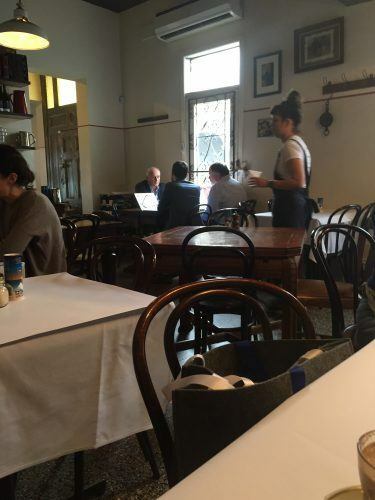 Friendly staff serve some of the best coffee in Melbourne – definitely the best in South Yarra! This place is always very busy which is, of course, a good sign – but you never seem to have to wait long. They also have a fab breakfast menu and super yummy looking cakes. Have had the smashed avocado breakfast and it’s a 5 out of 5 avocado rating! I have been here a few times and the quality is always outstanding. It is tucked away a bit off Toorak Road on Claremont Street. Looking for more great meals in Melbourne? 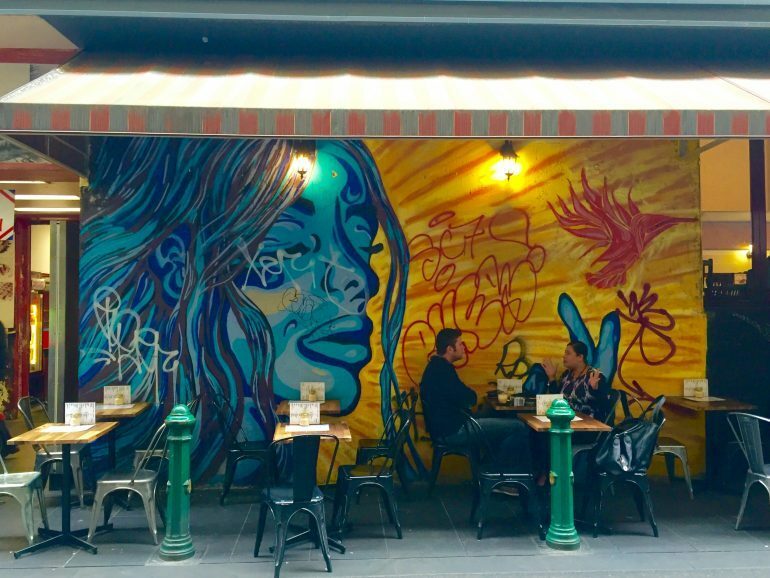 Check out my post on Melbourne’s Best Mexican Restaurants here. If you’re in Melbourne and looking for a weekend away check out my post on the lovely Mornington Peninsula or Spa town Daylesford. 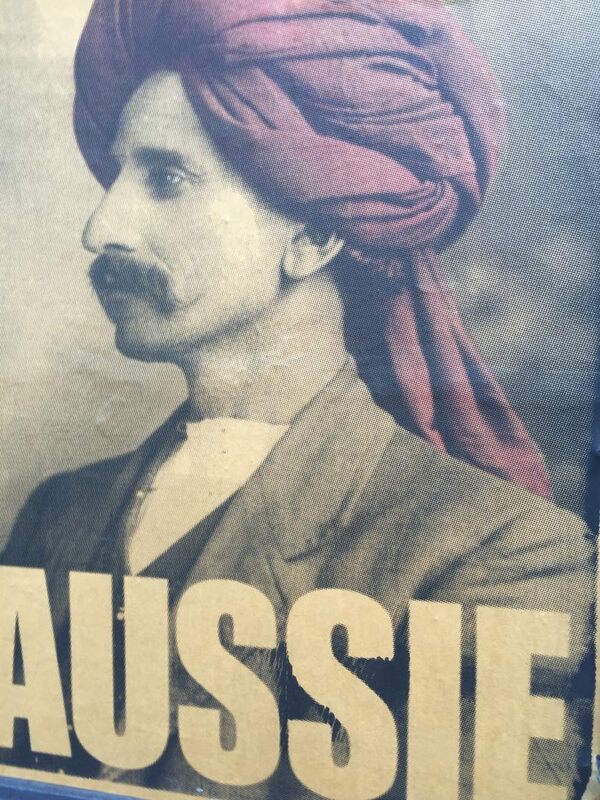 I could not figure out why this image was everywhere in Fitzroy? ?